A whole range of rules, regulations and changes are expected to affect drivers throughout 2017. Find out whether these changes could hit your pocket. The penalties for using a handheld mobile phone while driving doubled earlier in 2017. The previous punishment for drivers caught using their phone while driving wass a £100 on the spot fine and 3 penalty points (sometimes higher in the case of an accident). The penalties apply whether you’re cruising along the road or stationary in traffic. In March these penalties doubled to a £200 on the spot fine and 6 points on your licence. The latest rules mean some drivers could be disqualified from driving after just one mobile phone offence. Drivers who have held their licence for less than two years face it being revoked after receiving 6 points, while drivers with more experience will face disqualification after accruing 12 points. New EU guidelines came into force this March that changed the way child car seats are approved for use. This means backless booster seats will only be approved for children over 125cm or 22kg (roughly six years old). It's important to highlight that this is a regulation for manufacturers, not users. If you’ve got an existing booster seat you can continue to use it without breaking any laws, but for new equipment usage guidelines have changed. Backless booster seats offer much less protection in the event of a collision, so the new regulations are intended to improve safety by encouraging parents to choose high-backed booster seats and preventing the manufacture of backless booster seats designed for younger children. Other laws around child car seats remain the same — children must use a child car seat until they are 12 years old or 135cm (4ft 5in) tall, whichever comes first. Drivers are responsible for ensuring all passengers aged 14 and under are using appropriate restraints, and can be fined £100 if they don’t comply. In what may be a welcome change for drivers, insurers are now required to include details of last year’s premium on insurance renewal notices. It’s hoped the new renewal notice guidelines will help customers to make more informed decisions and encourage them to seek better deals rather than automatically renewing their insurance policies. A new system for Vehicle Excise Duty (VED — more commonly known as car tax or road tax) has been introduced for cars registered on or after 1 April 2017. Drivers now have to pay a one-off tax charge for the first year, based on the car’s emissions. This ranges from £10 for greener cars to £2,000 for the most polluting. The following years’ tax charges will be a flat rate of £140 per year for petrol and diesel cars, and £130 for cars that run on alternative fuel. The only exemptions are for zero-emissions vehicles. Under the previous system (cars registered before April 2017), the tax rate for the first and following years was determined by the car's CO2 emissions. The new system means many new low-emission (but not zero-emission) cars are more expensive to tax, with some increasing from zero tax to £140 per year after the first year’s one-off payment, simply based on whether the car is registered before or after April 1, 2017. Drivers planning to buy a luxury car face an extra charge. Cars registered after 1 April 2017 with a list price of over £40,000 incur an extra £310 annual supplement for their first five years on the road. Drivers committing the most serious speeding offences now face harsher fines under new sentencing rules. 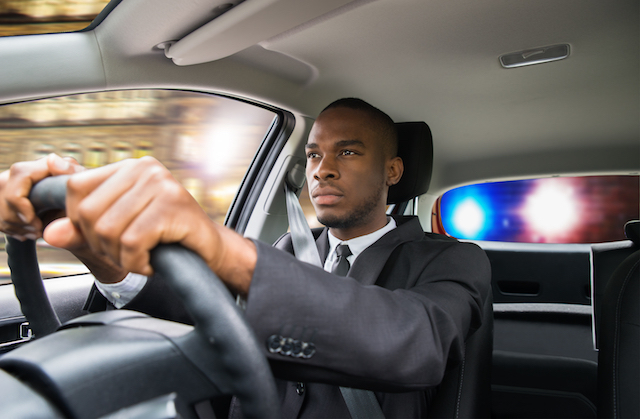 For cases that go to court, the previous fine for drivers far exceeding the speed limit was capped at 100% of the driver’s weekly salary. However, this has now increased to 150% of the driver’s weekly salary to reflect the seriousness of extreme speeding. The rate of Insurance premium tax (IPT) charged on car insurance has increased once again in 2017. Insurance premium tax is charged as a percentage of insurance premiums across most general insurance products, including car, home, travel, pet and private medical insurance, with a standard or higher rate charged depending on the type of insurance. The previous rate of IPT currently stood at 10%, but this increased to 12% in June 2017. This is likely to result in an increase to drivers’ insurance bills. While insurers are not obliged to pass the tax increase on to customers, previous IPT rises have resulted in an increase in costs to drivers. IPT has increased rapidly in the past few years, rising from 6% to 9.5% in 2015, and to 10% in 2016. In this time, the average comprehensive car insurance premium has risen by more than 11% (AA British Insurance Premium Index Q3 2015 - Q4 2016). After a consultation and trials across the country last year, the practical driving test is set to change later this year. The independent driving section of the practical test will increase to 20 minutes and will include following instructions from a sat nav. Drivers on their test will also be required to answer a ‘show me, tell me’ question while driving. Two of the compulsory driving manoeuvres — turn in the road and reverse around a corner — will be replaced with more ‘realistic’ manoeuvres, including driving into and out of a parking bay. Looking further ahead, voluntary motorway driving lessons are set to be introduced in 2018. Learners are not currently allowed to drive on motorways, but will soon be able to book motorway driving lessons with approved driving instructors.